Accurate Radon Mitigation Services, Inc. is certified though the National Radon Proficiency Program, the leading certification program for radon professionals in North America. Individuals holding NRPP certification have not only met the requirements set forth by the EPA, but we are constantly looking for ways to raise the standards of professionalism. We encourage and support true compliance with the recognized standards of practice as we believe this will protect public health and safety. We fully support state and local regulations that seek to bring about professional compliance and recognize the best practices. Accurate Radon Mitigation Services, Inc., is certified to perform radon measurement. We follow EPA-established guidelines when testing for radon and strict quality assurance and quality control guidelines and device specific protocols, and calibrate each instrument annually. We offer electronic testing with fast results. 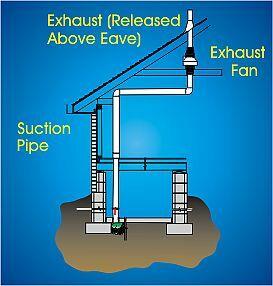 Should you find the radon levels in your home or business to be at or above EPA's Action Level, we can install a radon mitigation system to effectively lower the levels of radon entering your property. Accurate Radon Mitigation Systems Inc, (262) 378-1293, keithfis@msn.com | Base Content Copyright © 2019 Market Hardware, Inc.